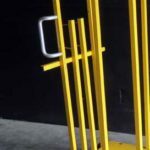 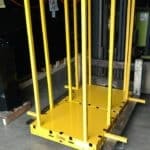 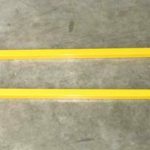 Forklift posts with bracket, pair (2) | Saw Trax Manufacturing, Inc. 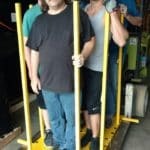 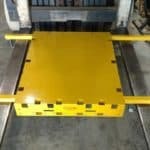 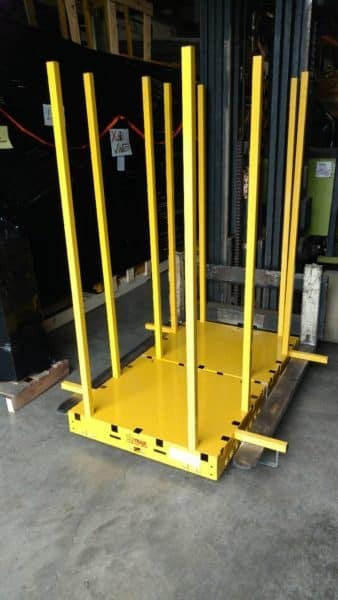 Lift and move your yel-Low Safety Dollies with a forklift over long distances. 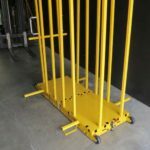 Great for warehouse use. 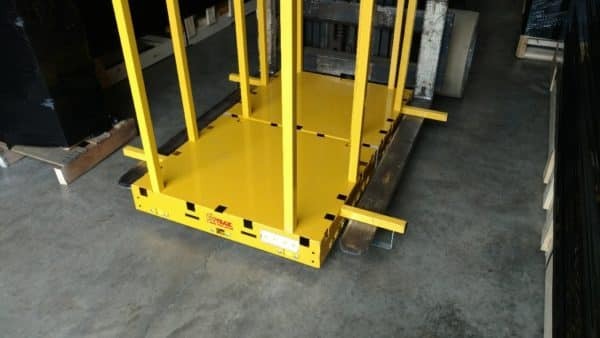 Keep top heavy loads from pulling the dolly off of the forks. 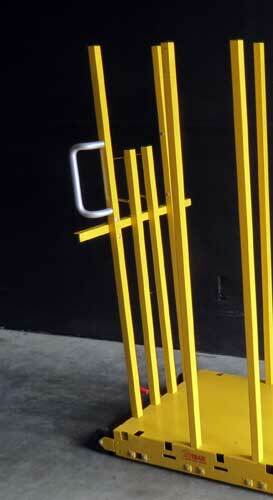 A welded bracket is welded to the end of a 47" post. 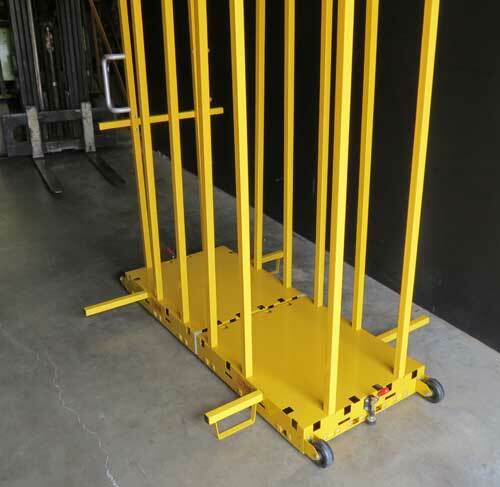 The posts can be stored on the dolly vertically when not in use and used on opposing sides of the dolly horizontally when in use. 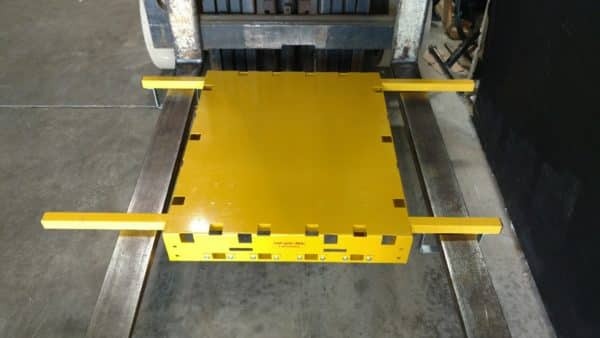 The dolly can be rolled onto the forks so the brackets attach to the forks or the forks can be driven into the brackets. 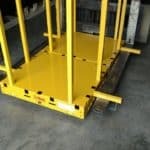 This keeps a top heavy load on the dolly from pulling the dolly off of the forks of the forklift. 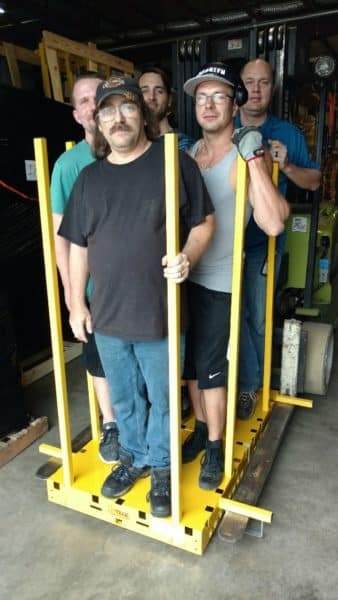 Much safer way to transport the dolly with a forklift.